We report on a case study in synthetic biology, demonstrating the model-driven design of a self-powering electrochemical biosensor. An essential result of the design process is a general template of a biosensor, which can be instantiated to be adapted to specific pollutants. This template represents a gene expression network extended by metabolic activity. We illustrate the model-based analysis of this template using qualitative, stochastic and continuous Petri nets and related analysis techniques, contributing to a reliable and robust design. [Bio] BioNessie. A biochemical pathway simulation and analysis tool. University of Glasgow, www.bionessie.org. [Cha] Charlie. A Tool for the Analysis of Place/Transition Nets. http://www-dssz.informatik.tu-cottbus.de/software/charlie/charlie.html. [FM07] R. Fulton and M. Marba. A Stochastic Model for a General Biosensor. www.brc.dcs.gla.ac.uk/iGEM/2007, Bioinformatics Research Centre, University of Glasgow, UK, 2007. [Fri] T. Friend. Minicap - Multi Parameter Sensitivity Analysis. Glasgow iGEm Team, http://parts.mit.edu/igem07/index.php/Glasgow/Modeling. [Gla07] Glasgow University Team at iGEM - International Genetically Engineered Machine Competition. http://www.brc.dcs.gla.ac.uk/iGEM/2007/, Cited 20 Jan 2008, 2007. [HGGH07] C. Harkness, D. Gilbert, X. Gu, and M. Heiner. The use of Petri nets in the Glasgow iGEM project: ElectrEcoBlu - a Self-powering Electrochemical Biosensor. www.brc.dcs.gla.ac.uk/iGEM/2007, Bioinformatics Research Centre, University of Glasgow, UK, 2007. [iGE07] iGEM - International Genetically Engineered Machine Competition, MIT. http://parts.mit.edu/igem07/, Cited 20 Jan 2008, 2007. [MAT] MATLAB. High-level language and interactive environment. MatWorks, www.mathworks.com. [Syn08] SyntheticBiology.org. 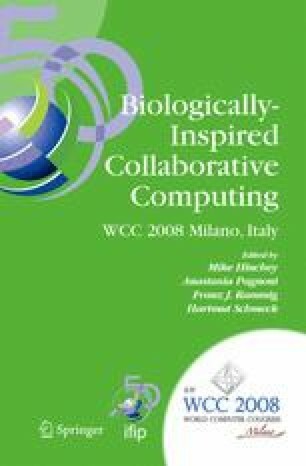 www.syntheticbiology.org, Cited 20 Jan 2008.